First time in Canada! 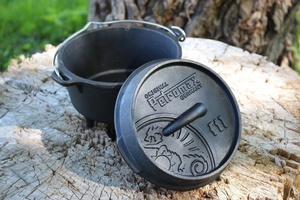 German made quality Dutch Oven from the venerable old outdoor company of Petromax. This is a compact cast Iron oven great for camp cooking. Thanks to the amazing characteristics of cast iron and the special structure of the surface, warmth is efficiently stored and distributed. 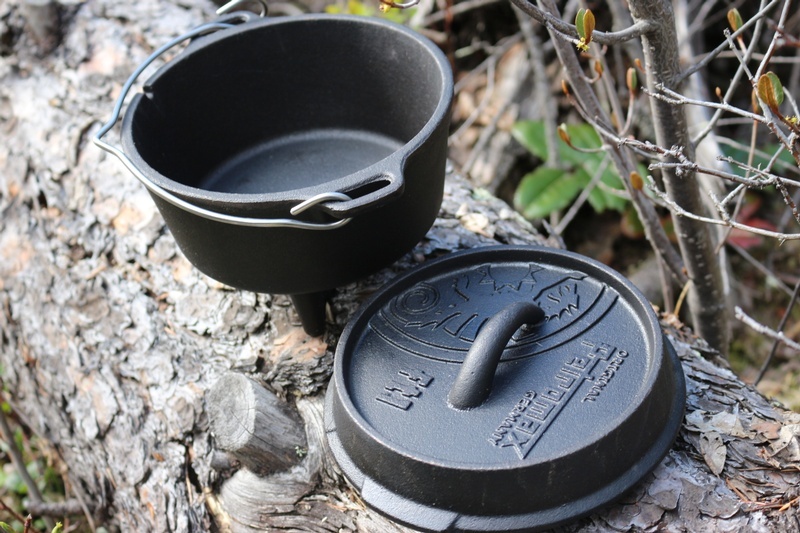 The pre-treated surface (seasoned finish) makes a first seasoning unnecessary, and the sturdy Dutch oven can be used right away. In the open air, it is used on an open fire or with charcoal and briquettes. The raised edge of the lid makes it possible to place embers or charcoal also on the Dutch oven. The Dutch oven is thus heated from all sides and is for example suitable for baking bread. The Dutch oven is provided with ingenious details that make it easy for you to handle and that offer you an amazing cooking experience. 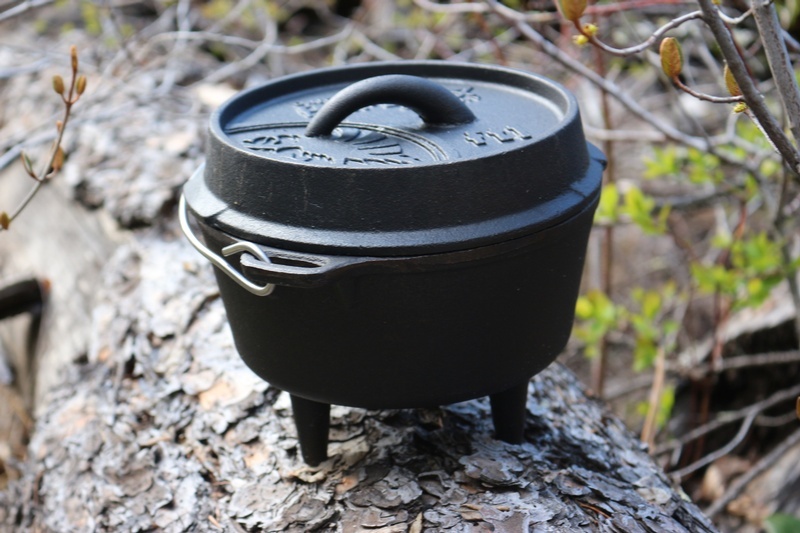 The Dutch oven can be safely lifted thanks to a sturdy handle, three legs give stability to the Dutch oven, and a thermometer hole makes it possible for you to check the temperature without having to lift the lid. When you need it, lifting the hot lid is particularly easy thanks to the Petromax Lid Lifter. The lid of the ft1 does not have any legs, so it cannot also be used as a pan like other Dutch ovens. 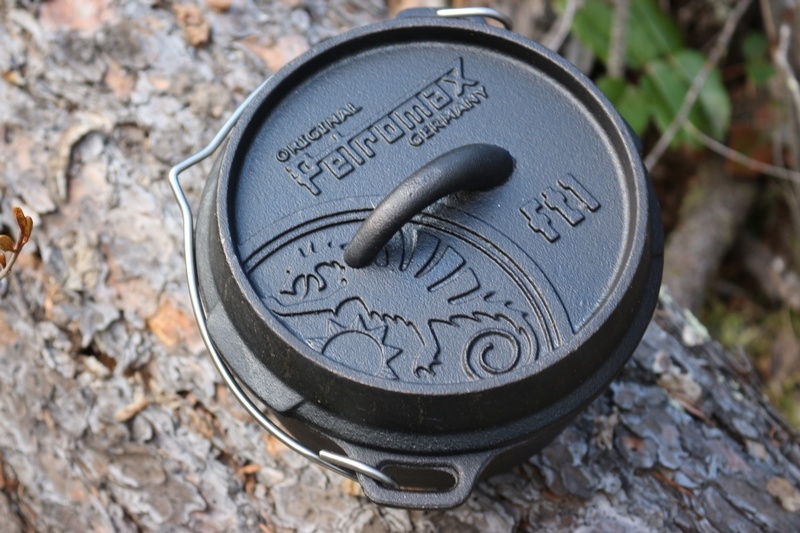 Beside all these ingenious details, the Dutch oven has a traditional Petromax design: The lid is decorated with the elegant dragon logo, which has always stood for excellent quality and top-of-the-range products. Soups, meat dishes, as well as stews, casseroles and even cakes, can be prepared outstandingly in the Dutch oven. The Petromax Dutch Oven is available in several sizes, so that the right one can be chosen according to the recipe or the number of persons. The smallest model ft1 of the Dutch Oven has a capacity of ca. 1.1 litres. Purchase through PayPal by using the "Add To Cart" button above or use the form below to order the Petromax Compact Dutch Oven FT 1 . Feel free to contact us if you have any questions about the Petromax Compact Dutch Oven FT 1 .